Get away to the Swedish wilderness! Go for a unique 5 days trip in north, in the middle of Lapland, the northernmost part of Sweden. 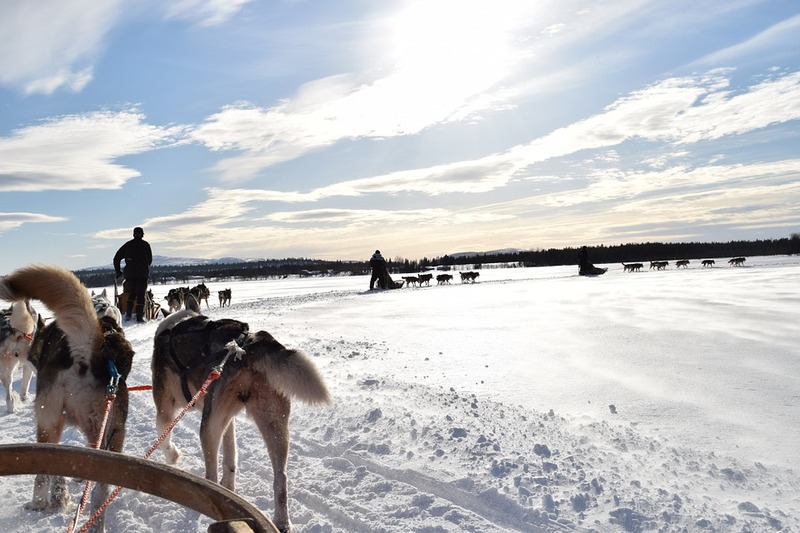 There, you will get all chances to see the northern lights in the polar night and enjoy exceptional activities during the day, like a dog sledding trip. Polar winter is a magical spectacle with endless nights lit by the stars and the white of the snow reflecting the pastel colors of the northern lights. This strange phenomena, should be seen by everyone at least once in life time. And this spectacle never miss the call: we managed to see the northern lights every year. They can be seen in winter normally from November to March. Don't miss the magic of north! We will meet at Gällivare or Kiruna airport or train-station. Two hours later we will already be relaxing in our sauna at our wilderness camp. The camp is situated in total wilderness between the Kalix and Kaitum river; that are two of the main rivers coming from the majestic mountains. The only way to access is by boat in summer and snowmobile in winter. The morning of the next day, we will go for an ice fishing experience on the frozen river right next to our camp where we'll maybe get the chance to fish a brown trout. 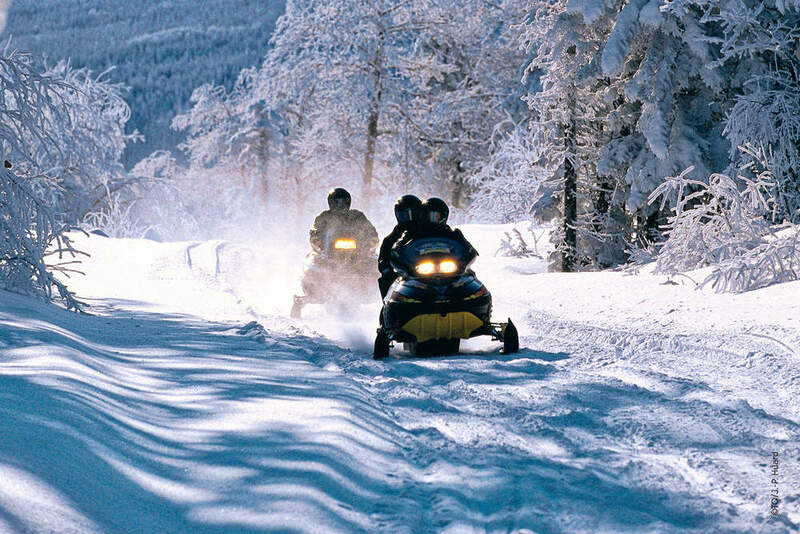 In the evening we'll ride our snowmobile and discover the northern lights in the nature. The area True Nature Sweden brings you is totally light pollution free. The closest town is 50 km away from our camp. Here you have the chance to take amazing pictures and feel the best northern lights sensations. The following day, we'll wear snowshoes and hike on the surrounding hills and lakes in total wilderness, perfect place to observe elks. In the evening, first we’ll have some relaxation time in the sauna and then have a warm tea under the polar night’s sky accompanied by dancing northern lights. The fourth day will start with a nice breakfast and then learn how to build a traditional igloo. 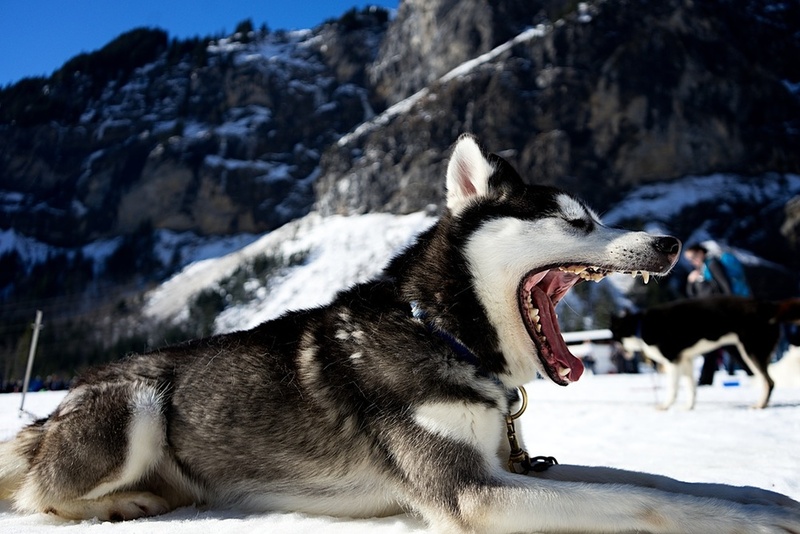 Then departure for dog sledge expedition where you'll handle your sledge by yourself. What a great sensation of freedom when being dragged by these powerful huskies! In the evening we'll share a delicious traditional Sami diner, two courses. Last day will be the time to say goodbye after a last breakfast together and a large breath of fresh air. Don't hesitate to contact us to adapt your tour, modify it to match the expectation of your time in the north of Sweden. All transportations during the tour.